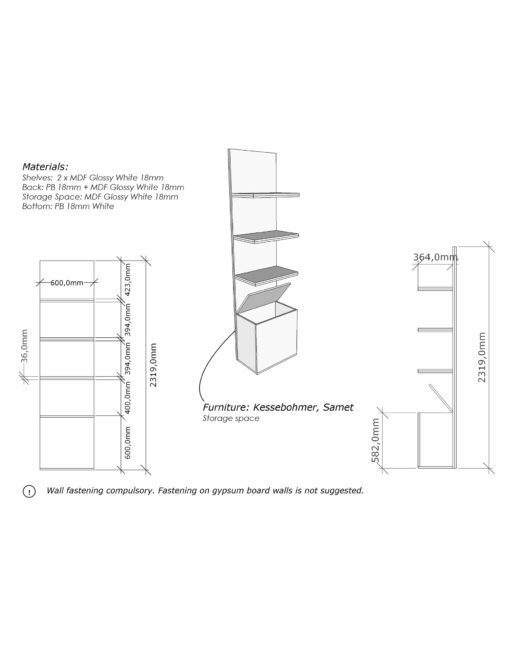 MurphySofa 60cm wide cupboard shelving: This 23.62″ wide cupboard is 15.75″ deep and compatible with the MurphySofa Queen and King designs. 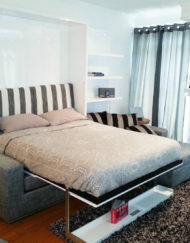 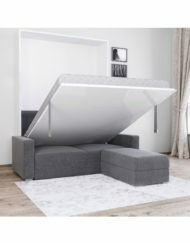 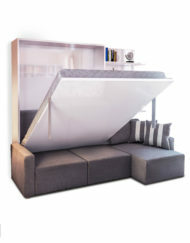 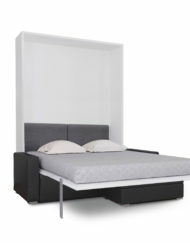 It can also fit with Double MurphySofa & Hover beds, but it will be slightly taller. 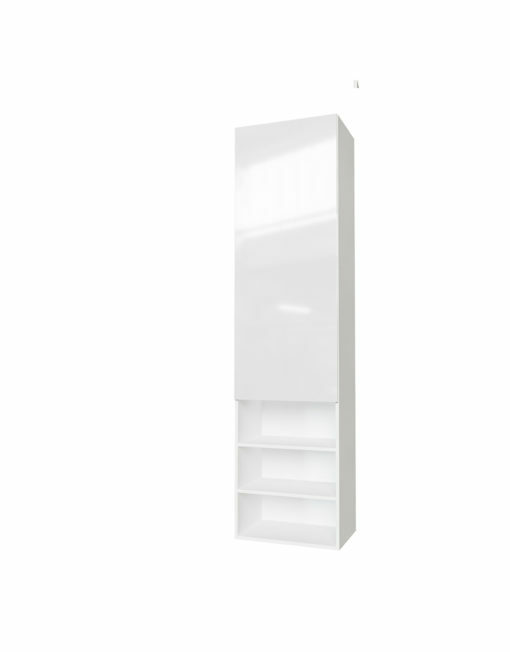 It uses coat hanger rack that slides out for side hanging access. 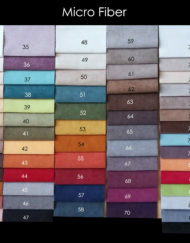 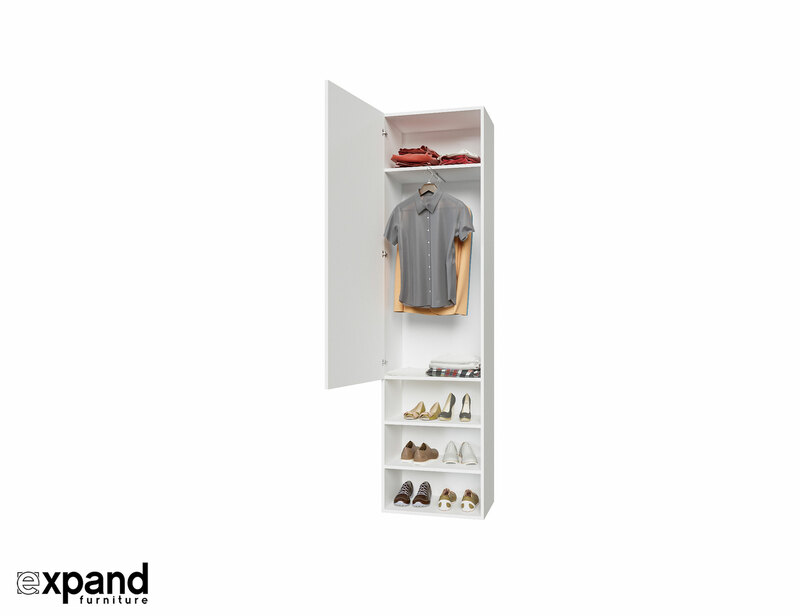 This allows items to be hung at this shallow 15.75″ depth. 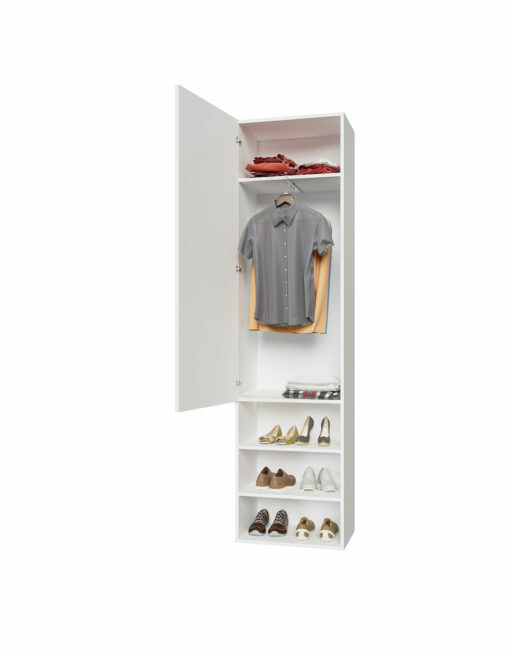 It also has shelving compartments for storing clothes or goods. 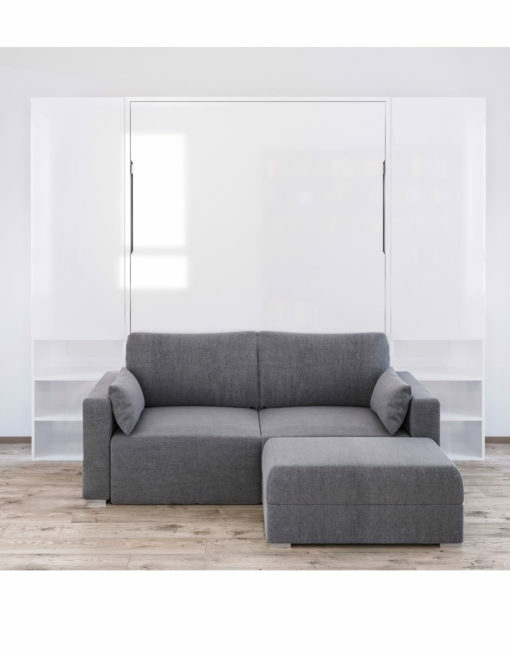 Additional exposed shelves are at the lower level allowing this to rest behind a Murphysofa without conflict of doors or cupboards being restricted. 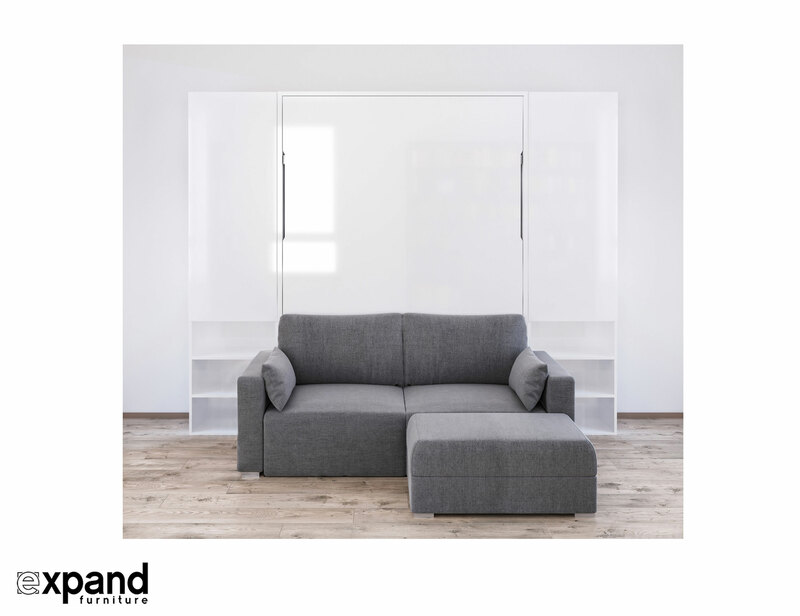 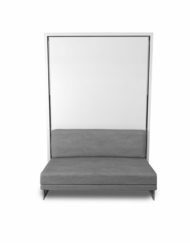 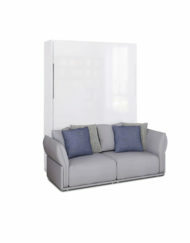 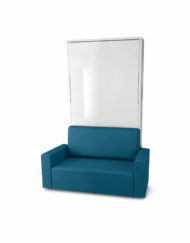 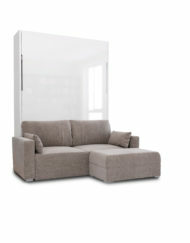 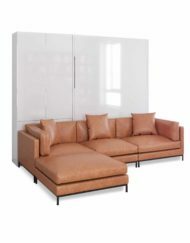 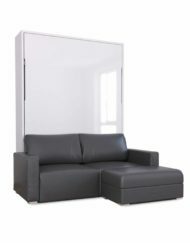 This 60cm wide shallow depth cupboard is designed for the MurphySofa Queen and King models. 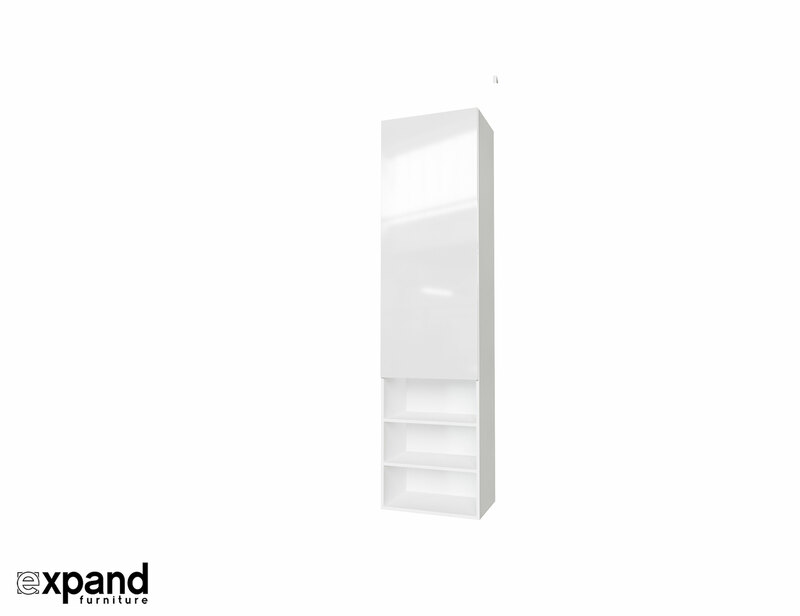 Also Double and Hover compatible in depth but not the same heights. 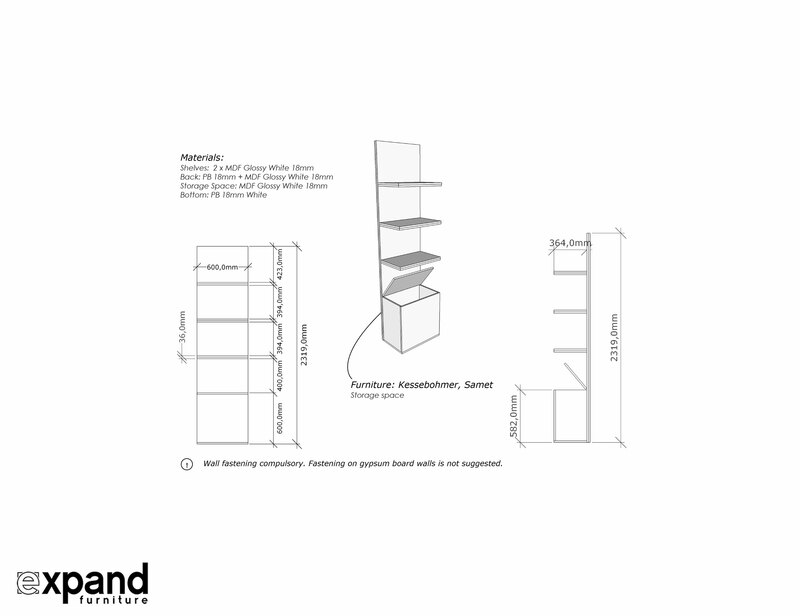 We also have as similar build but with open shelving. 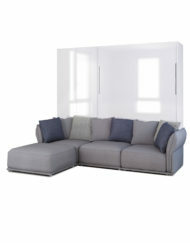 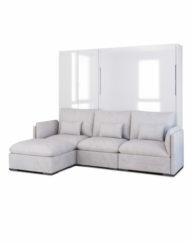 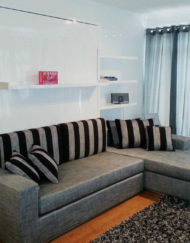 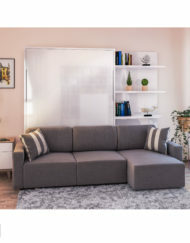 View MurphySofa 60cm open shelves here.